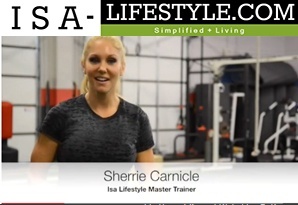 My idea of cardio is often very different than the traditional “steady state” machine cardio that most people think of when they hear the word cardio. While I still really enjoy running and hiking, I also like to incorporate shorter duration cardio by creating a 20-30 min circuit of 3 movements that are intense and require total body or multi-joint muscle activation. Some of my favorite machines/exercises that I pick in my “pick 3” workouts include: sled, Jacob’s ladder, rowing machine, uphill treadmill sprints, versa climber, battle ropes, stairmill, clean and jerk, burpees, box jumps, long jumps, squat/curl/press, kettlebell thrust, pull ups, ladder drills on floor, side shuffle, boxing, jump rope, lateral bench jumps, horse jumps, and many more. Cardio can be fun and does not have to include long duration of monotonous movement to get the job done. Just set the timer to 20-30 minutes, pick 3 movements that are medium to high intensity, and do as many rounds as possible within a given rep range during that time frame. Challenge yourself each week to get one more round or one more rep on a new round. 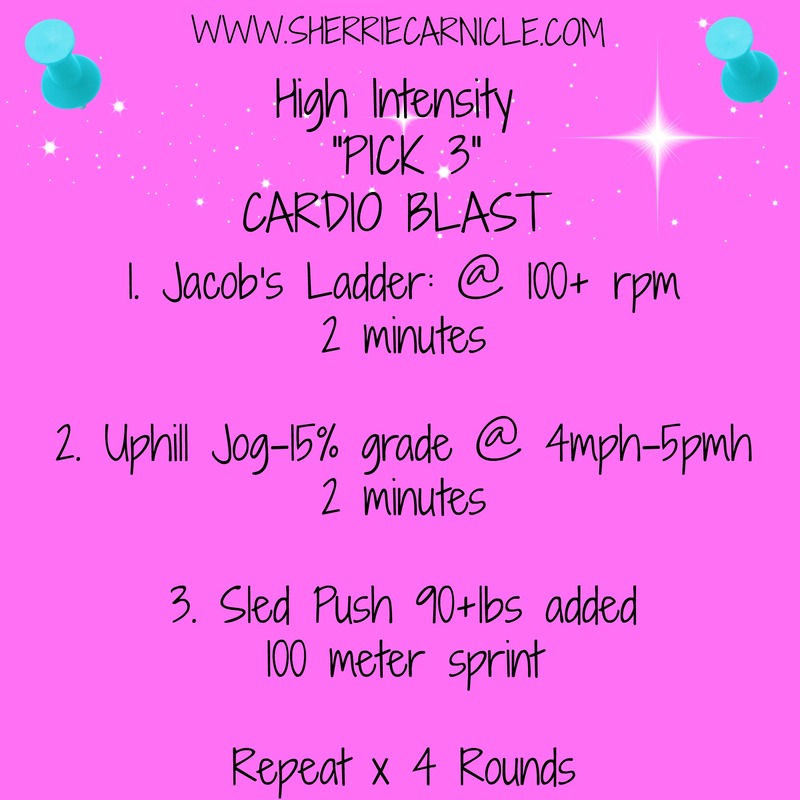 Hope you enjoy my “pick 3” workout for today!